What’s not to love about a cheeky little midweek sojourn, especially when it’s in a location as idyllic, remote and relaxing as Pumphouse Point in Tasmania. 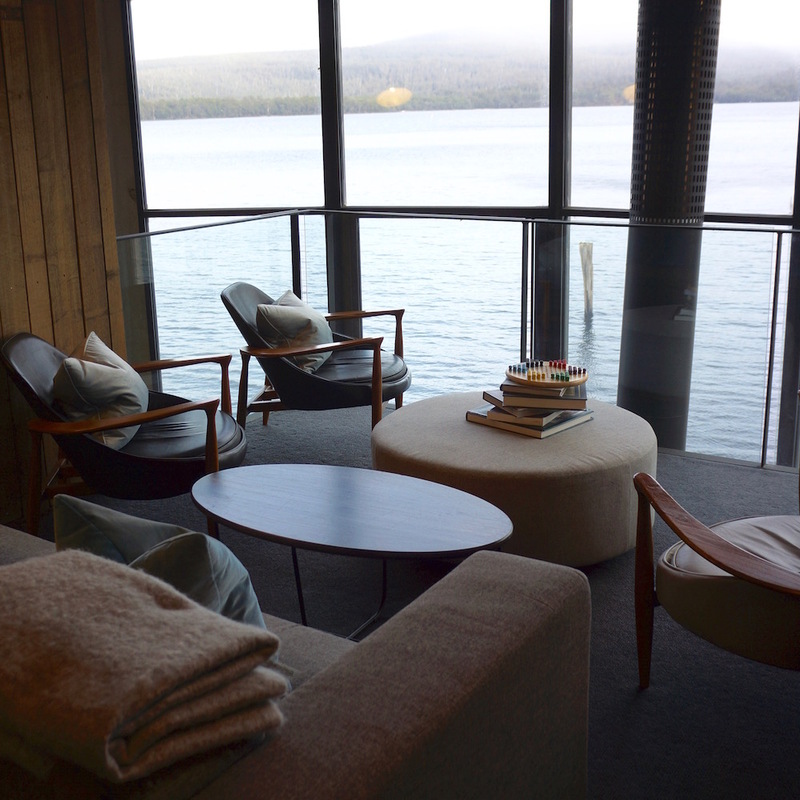 Located on the shores of Lake St Clair in Tasmania’s central Highlands, Pumphouse Point was constructed in 1940 as a state of the art hydropower facility that was converted in 2015 into a boutique, 18-room nature retreat by tourism entrepreneur, Simon Currant. The organic, pared back aesthetic of the accommodation is totally in keeping with the pristine natural beauty of the area. There is no pretention here … nature really is the star attraction. It’s effortlessly cool, simple and understated. There’s lots of beautiful walks and bikes available to explore the area for those that are so inclined. Or … like us you can opt just to chill out by the fire, drink red wine, play chess, read books and totally unwind! The food is equally simple but delicious. Each room has a larder that showcases the best in Tasmanian produce (from soups to cheeses and cured meats) …. like your own personal deli, and you can supplement this with a warm, crusty loaf of fresh bread delivered to your room at any time. Dinner is a shared-table dining experience, served on platters encouraging guests to mingle and chat and the two bars operate on an honesty system … just help yourself! Pumphouse Point is understated elegance personified. The location is exquisitely beautiful and we left feeling completely rejuvenated and refreshed.